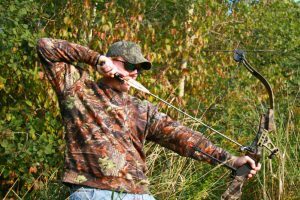 Many highly experienced bow hunters actually consider the challenge of taking a trophy buck to be second to that of taking a trophy Gobbler with a bow and arrow! 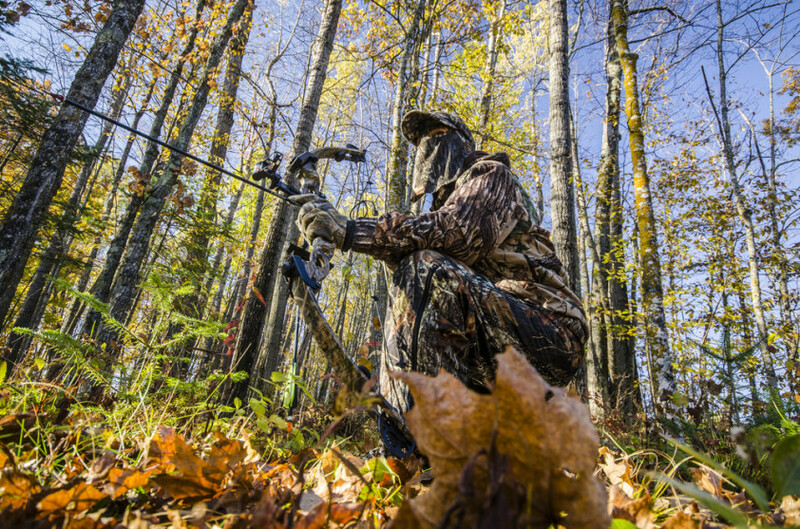 Waiting for the bird to cross those last, few, crucial yards and move into the exact position you want him in while drawing your bow undetected and then making a clean shot is what bow hunting Wild Turkeys is all about! 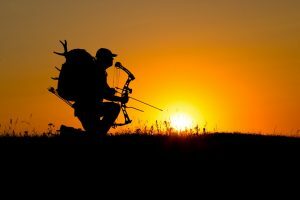 Before you can hunt them, you first have to locate them and, this is best done prior to the Spring hunting season. Now, at this point, you do not want to make use of your turkey calls but instead, you should start by using your vehicle to locate flocks of turkeys feeding in fields. You can also use locator calls to locate birds throughout the day who have not exited the woods by calling to them using a Crow, Hawk, or Owl call which will usually elicit a response from the dominate males who just can’t seem to help themselves and thus, you can often use this technique to locate favored, day time, strut zones which are also an excellent place to set up. Once you have found one or more locations where you would like to hunt, you will then need to set-up or build some sort of blind so that the Gobbler does not see you and deploy a decoy of some sort in order to provide the bird something to focus on other than you as it comes in to your calls. Of course, we have all heard that Wild Turkeys have incredibly sharp eyesight and are extremely skittish and thus, while shotgun hunters can sometimes dispense with a blind, a properly designed and constructed blind is often crucial for bow hunters because archers must wait until the prey is very close before drawing their bow and, the act of drawing the bow requires considerably more effort and movement than raising and aiming a shotgun does. 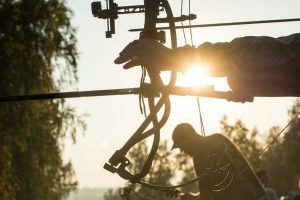 When either constructing or choosing a blind, it is imperative that it have the internal space necessary to enable the archer to raise and shoot his bow because the upper limb of the bow usually extends well above the archer’s head. 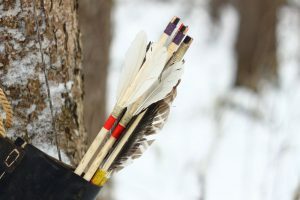 Some hunters still feel that aiming for the “vitals” (located low on the body between the base of the wing and the thigh) is the best shot, the truth is that it is that the bird presents the largest target when facing the hunter broadside and thus, that is the easiest shot for most archers to make. A much better idea is to position your decoys in such a way that the Gobbler approaches them with his back to you which then enables you to aim for the center of mass along the spine and, a strike anywhere along the spine will instantly immobilize the bird. 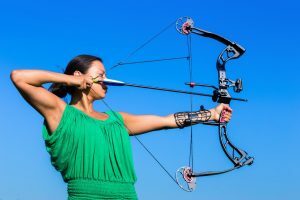 Since it is preferable to shoot the bird at twenty yards or less, this shot is well within the capabilities of either fixed blade or mechanical broadheads fired from either compound or traditional bows as long as they have sufficient cutting diameter. 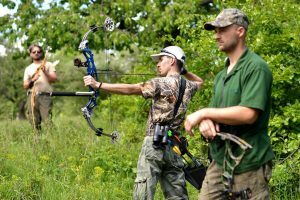 If you are one of those bow hunters who anxiously awaits the coming of deer season each Fall and laments the lack of legal hunting opportunities the rest of the year, then you should give Spring turkey hunting a try. 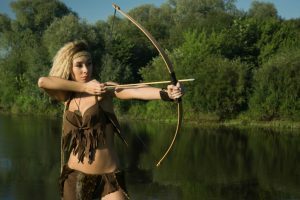 Each of these skills are easily within the ability of the average bow hunter and thus, any archer can enjoy the sport of bow hunting America’s wiliest game bird.